Can Emily rise from servant to mistress? She is a servant girl... When her father becomes ill, Emily Carter finds herself sent into service at Priorsfield Manor in order to provide the family with an income. He will be the Lord of the Manor... Emily strikes up an unlikely friendship with the daughters of the house, as well as Nicolas, son of the Earl. 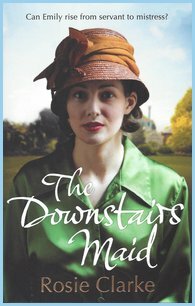 But as the threat of war comes ever closer, she becomes even more aware of the vast differences between upstairs and downstairs, servant and master... If you like Downton Abbey you'll love this!